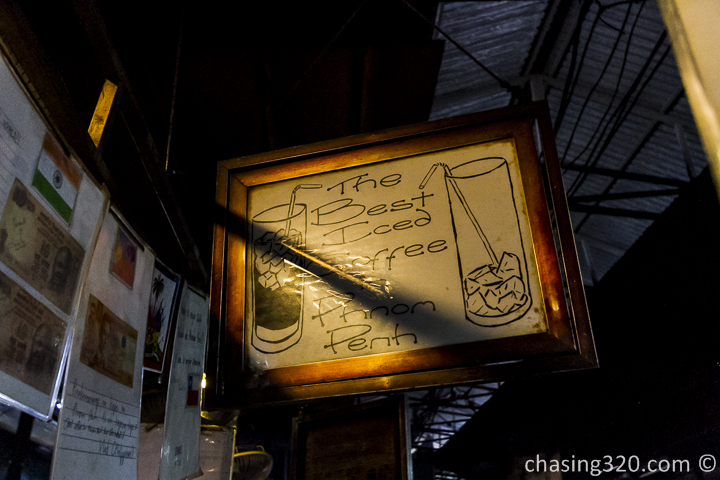 One of the main reasons we wanted to head over to Russian Market are the whispers of fellow travellers who have journeyed from far to try The Best Iced Coffee in Phnom Penh. 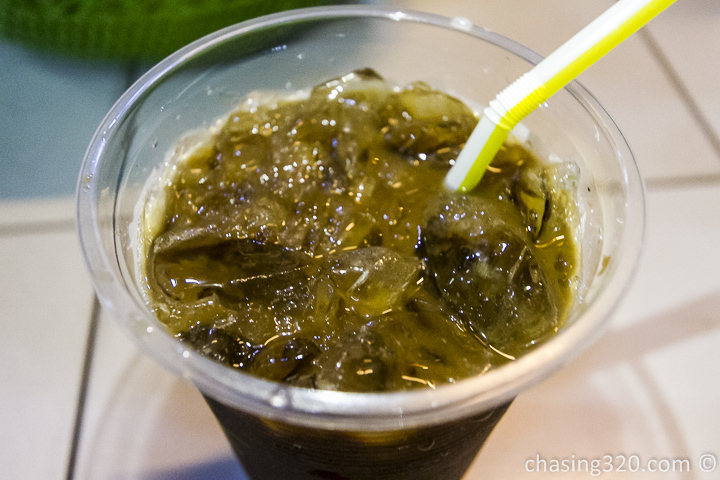 If you are looking for awesome iced coffee, head over to Russian Market. 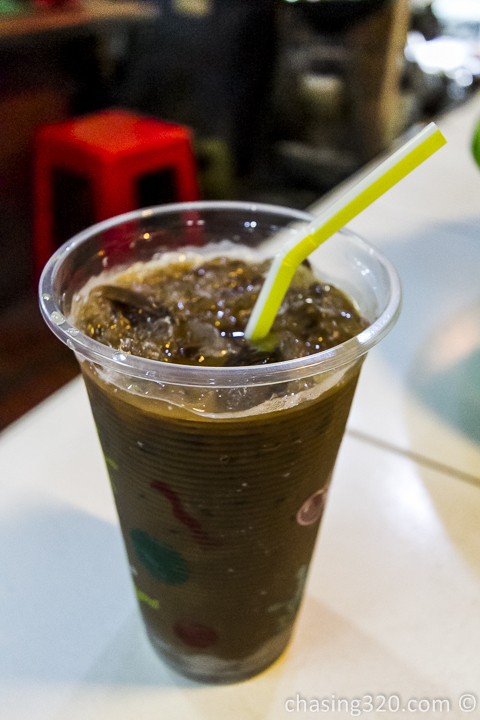 Look for stall Best Iced Coffee, Shop 547, Russian Market, Phnom Penh. 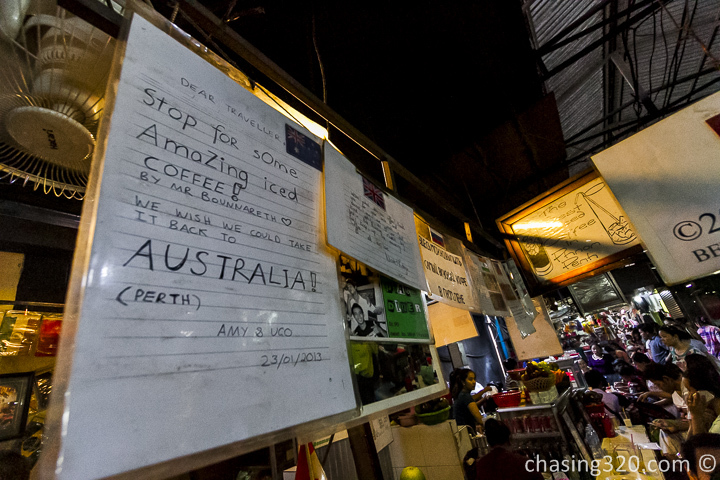 Please be aware of the shop next door that cheekily named their stall The Best Iced Coffee in Cambodia. Have a seat and get your dose. 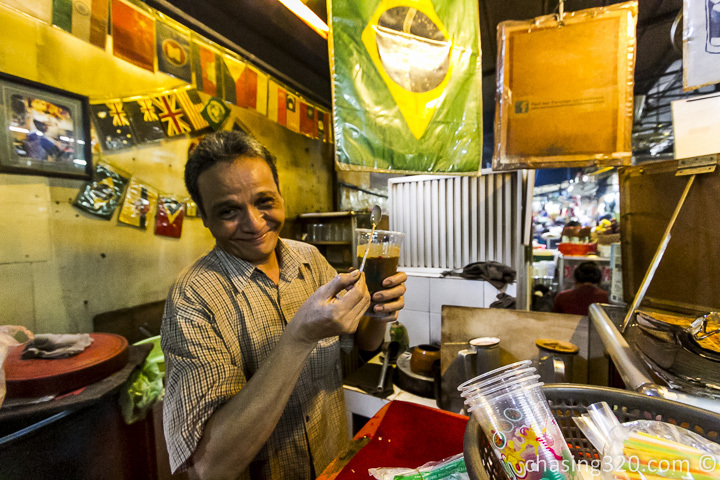 Mr. Bounnarith has been serving iced coffee for 30 years and the pictures prove it. Some photos looked film developed and fading in colors. 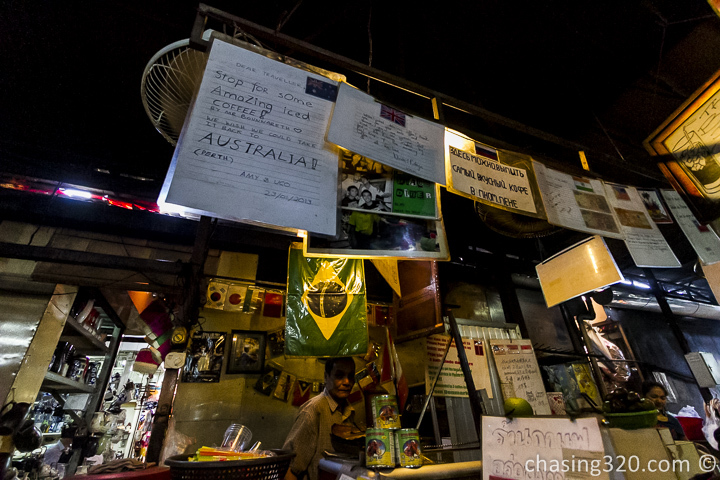 Plenty of testimonials from fellow travelers. Mr. Bounnarith will let me try a cup to make sure the sweetness is acceptable. I approve. I usually prefer my coffee sweet but I did not want to dull the rich coffee flavors with the sweet condensed milk. He was very friendly and very approachable. Service with a smile beating most baristas I know in coffee joints. This condensed milk makes the magical blend. I took a sip and a powerful coffee aroma hit me blended with the sweetness of the condensed milk had me agreeing and nodding that this was an awesome cup of coffee! I was asking myself How? How can this taste so good and not belong among the cafe circuits? 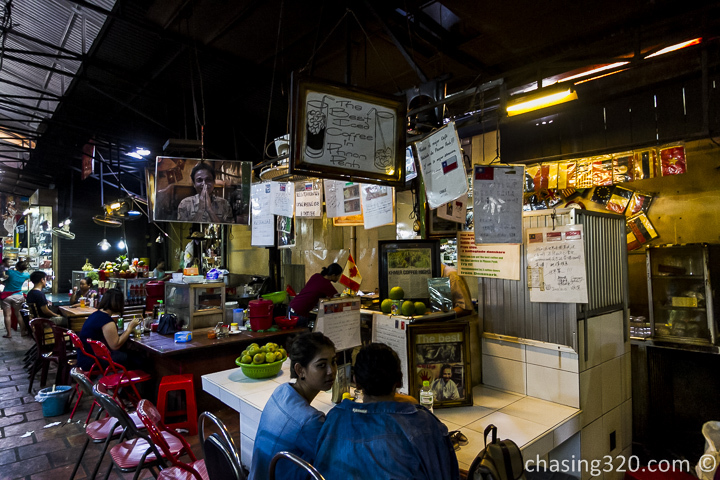 Instead it is tucked like a gem in a dark corner of Psar Tuol Tom Poung. Did I say it? This is awesome and amazing! Drink up fast before the ice dilutes the coffee. I agree with everyone! This is highly recommended! 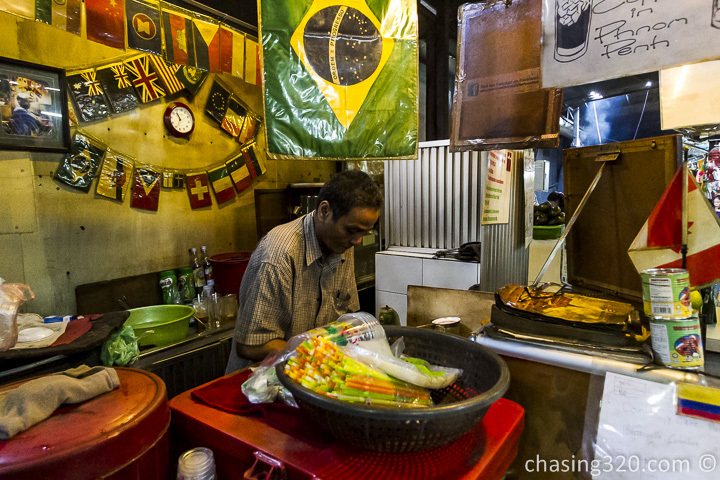 For USD1.25, you cannot go wrong! I see Singapore and Malaysia, the country I represent, giving approval. I approve too. 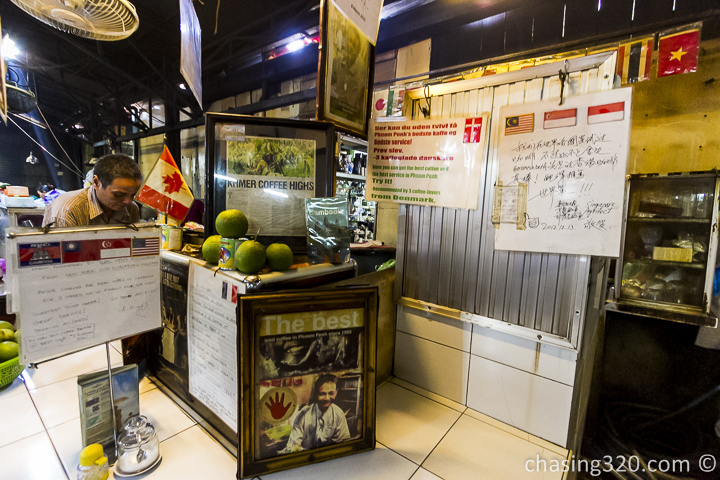 The Facebook page created for Mr Bounnarith says he is open from 7am till 6pm daily. By the end of this trip, I would say this IS the best iced coffee. Highly recommended. 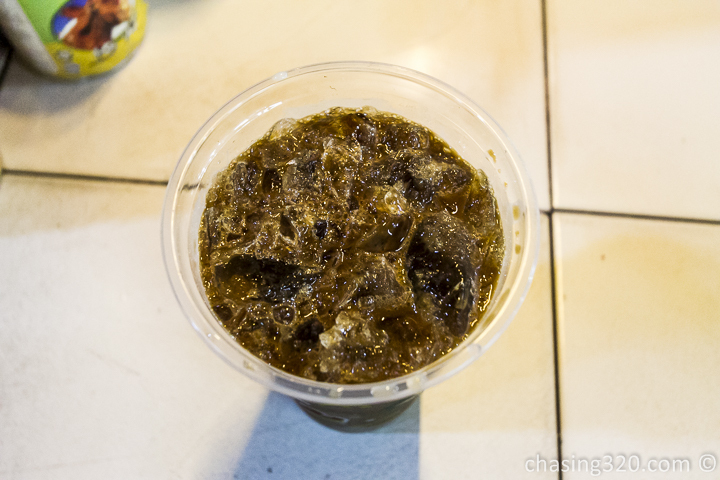 If I ever find myself in Phnom Penh again, I will make a trip to Psar Tuol Tom Poung a.k.a Russian Market just for this coffee.